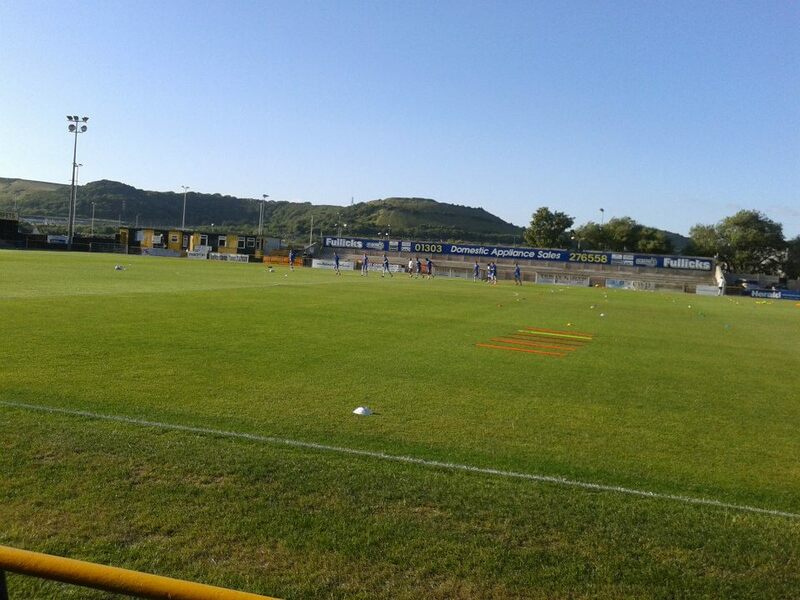 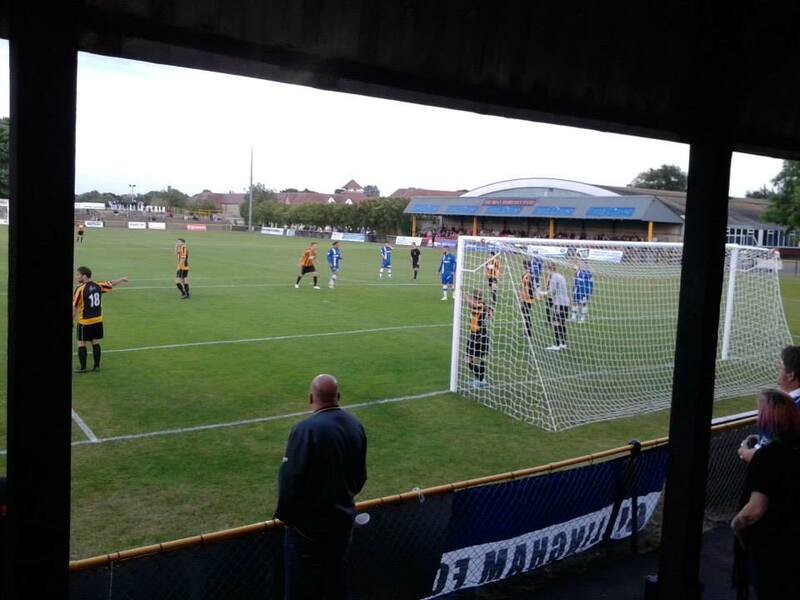 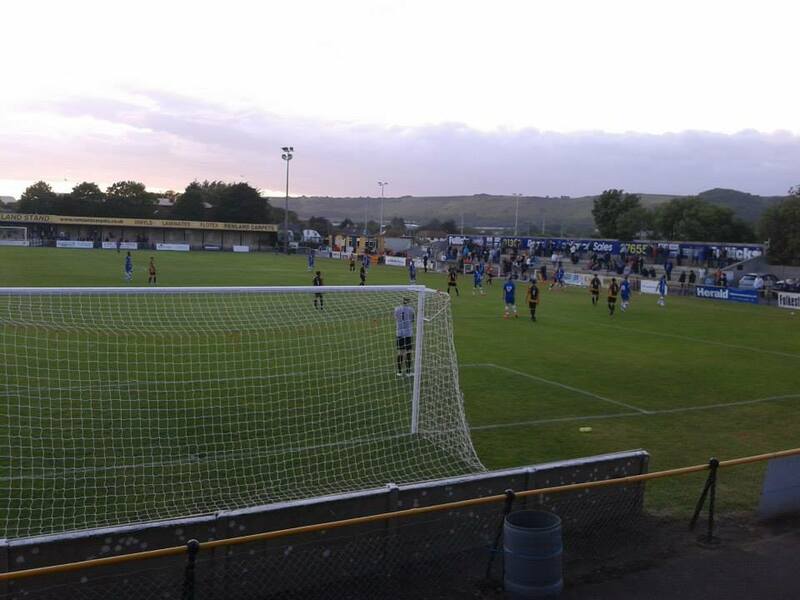 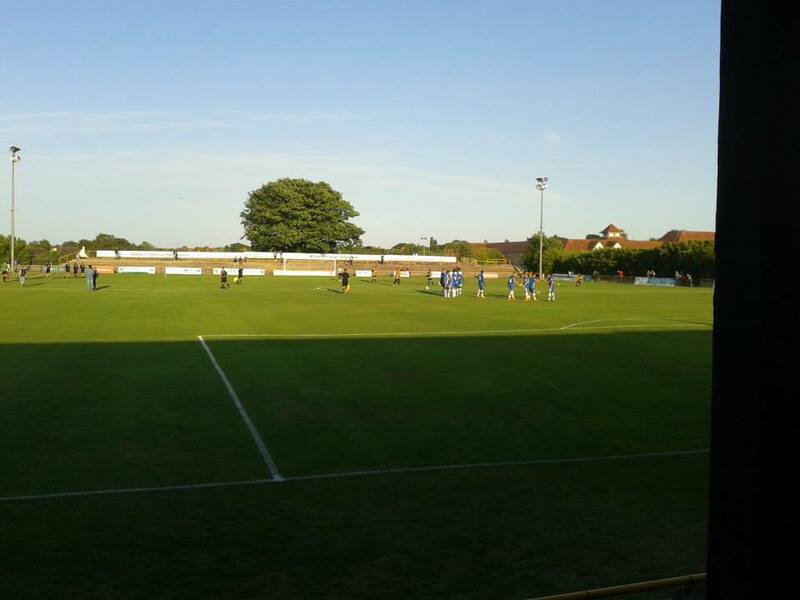 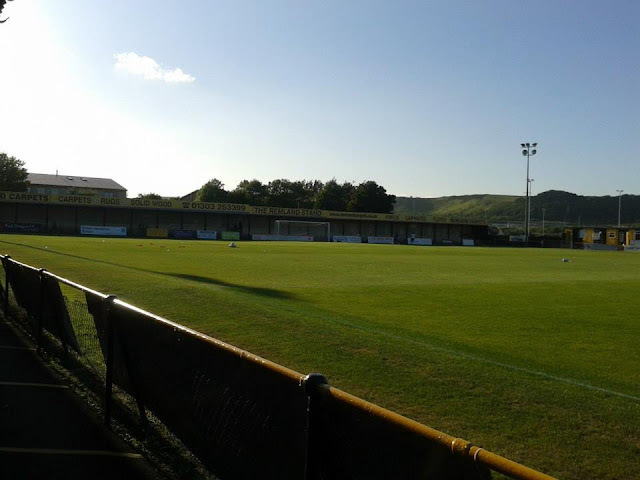 Last match I went to see: Folkestone Invicta 0-3 Gillingham, Tuesday 7th July 2015, Pre Season Friendly. 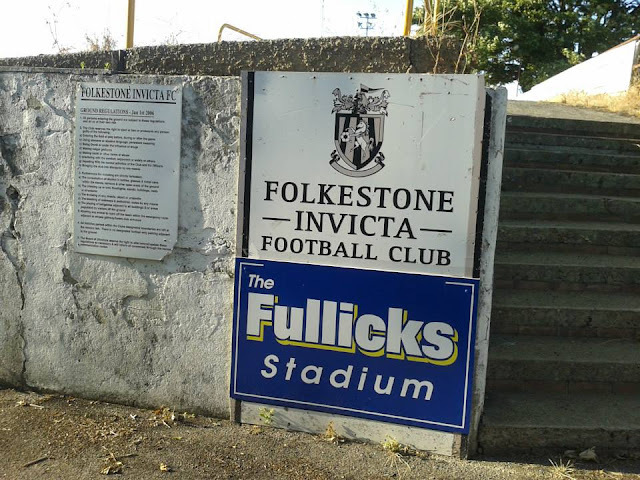 I have only been to Folkestone's Fullicks Stadium only the once which was a Pre-Season Friendly back in July 2015. 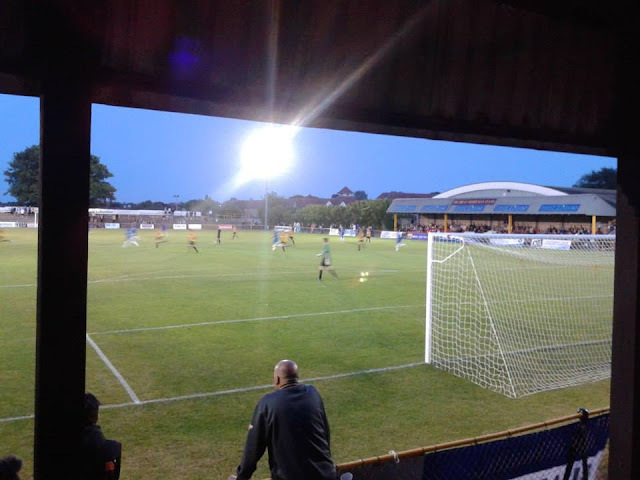 Again, it gave me great opportunity to tick the ground off when the Pre-Season games were announced so of course, I decided to tick the ground off. Getting to the ground was fairly easy, although when I did go, I went by train with my Dad, as from home it was quite easy. A straight train from home to Folkestone Central and then literally a 10 minute walk to the ground. 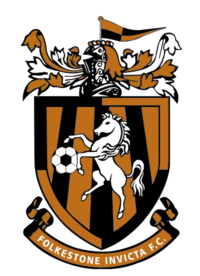 A nice little friendly club is Folkestone I think, I enjoyed my time whilst I was at Folkestone. Inside the ground they have a nice little bar as well. 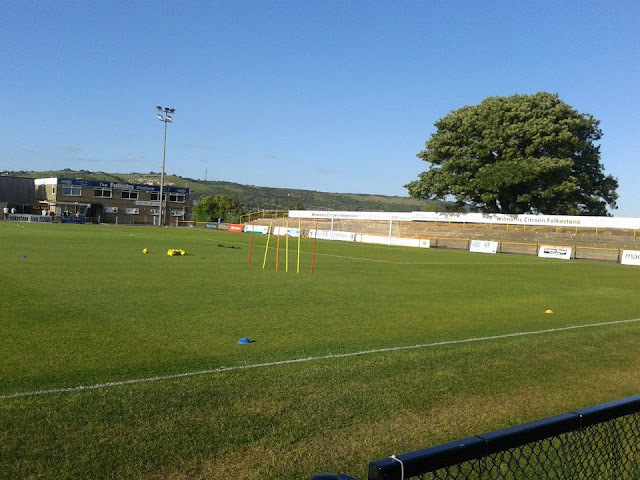 Cheriton Road or otherwise known as Fullicks Stadium has 3 covered stands and 1 uncovered stand which is behind the goal. 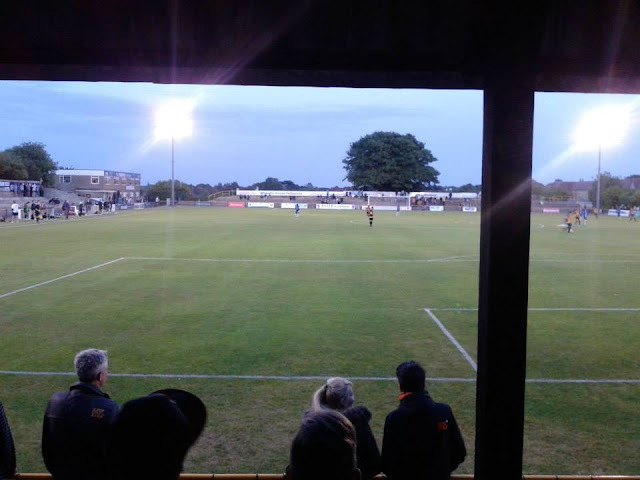 They have one stand on the side which is seating. 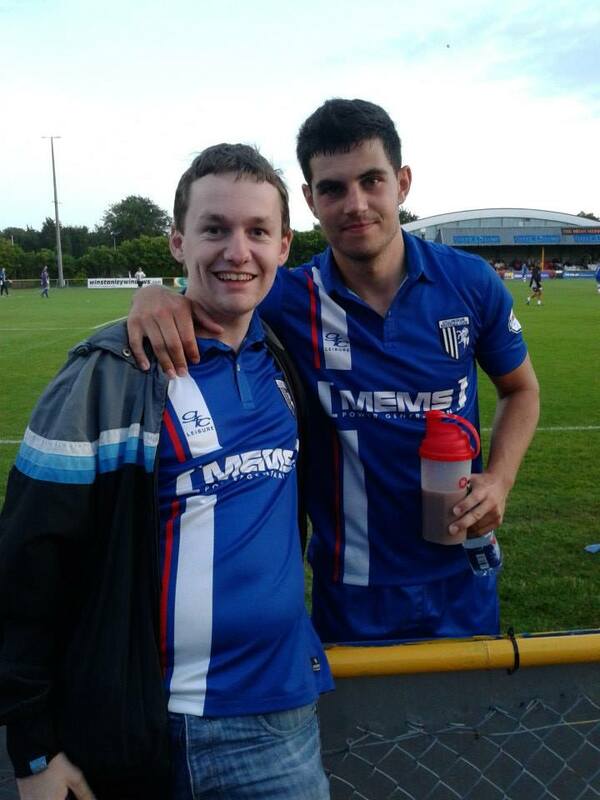 Me and John Egan at Folkestone. 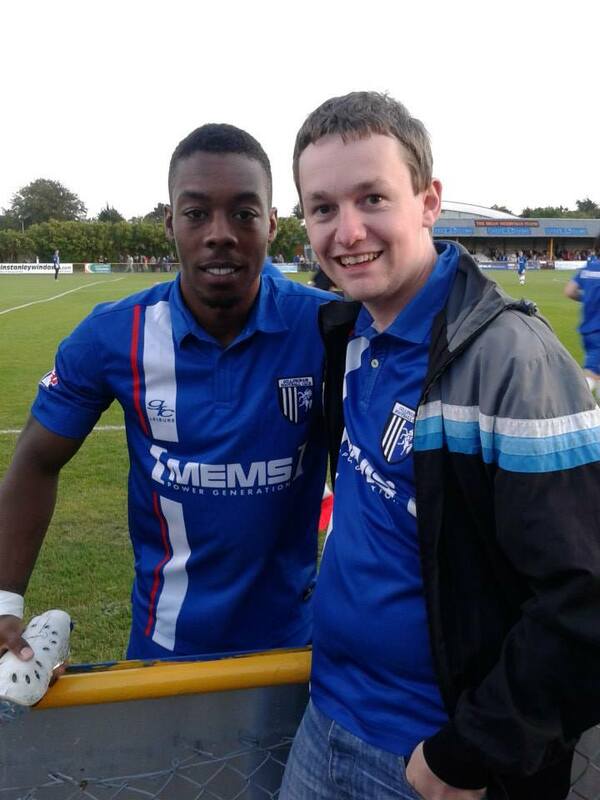 Me and our new signing at the time from Newport, Ryan Jackson.